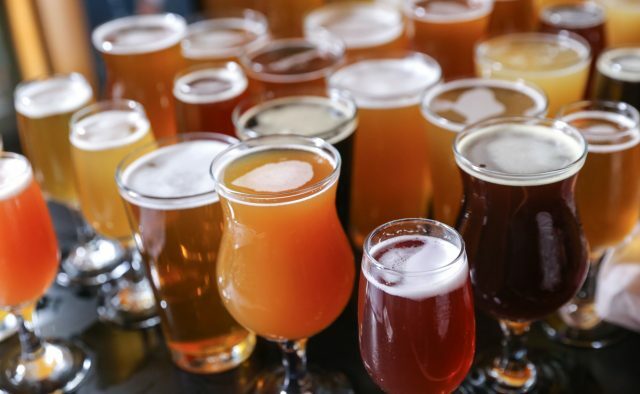 The beer and cider categories in the UK are enjoying sustained boom at present, with craft beer making great strides and the sunshine and World Cup atmosphere expected to have a huge impact. The glorious summer sunshine and surprise feel-good factor of England’s World Cup campaign are expected to have a significant effect on beer and cider sales in the on- and off-trades, but even without them Kantar Worldpanel reports that the beer and cider categories have been enjoying a positive streak that predates both. Already in the year ending 25 February 2018 spending on beer and cider had risen 6.3% or £191 million in the off-trade. Lager sales are up 5.1% but ale (up 7.7%) and stout (up 11.6%) are the big risers, while value sales are outpacing volumes as the average price of a beer rises driven in no small measure by the popularity of craft beers and various foreign imports. The average cost of a litre of lager now £1.90, a rise of 5%. Craft beer as a category is storming ahead. Kantar reported that spending in the category hit a record £135m over the last 12 months in the year to June, up 47% from the previous year’s £92m. In volume terms the category rose 52% to 38m litres. British craft beer brands have caught the attention of international big brewers in recent times. Meantime Brewery was first sold to SAB Miller in 2015 and then then sold on to Asahi by AB InBev when it acquired SAB. London Fields Brewery was sold to Carlsberg in 2017, Camden Town Brewery to AB InBev in 2015 and Beavertown sold a stake to Heineken last month (June 2018). Kantar also noted that no or low alcohol beer sales are rising too. It estimates that 1.4m UK households bought low or no alcohol beers in the past year, a “massive” 57% increase on two years ago. Increasingly brewers are offering drinks with reduced alcohol and they are being stocked and promoted by major retailers.